For-profit colleges may be playing defense in the public perception, but they have not given up their offensive game, if their recent contributions to Congress are any indication. The top recipients in Congress are, or were, running for election, and all but one of the incumbents have a leadership position on or are members of one of the powerful committees that help determine the flow of federal money to for-profit colleges. The top three recipients can count for-profit sector groups among their top campaign contributors. 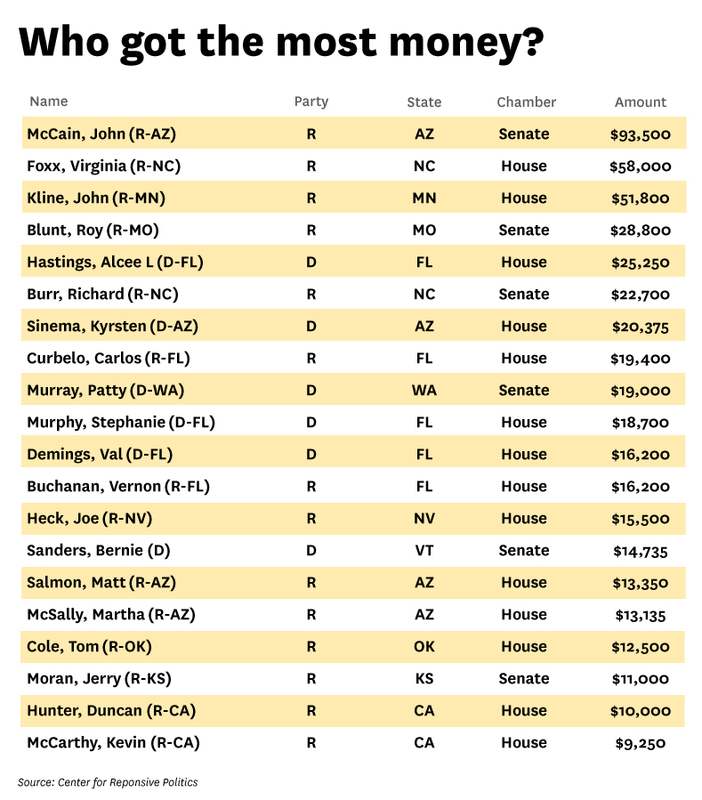 More than a third of the money donated to sitting Senators has gone to members of the Armed Services committee and most of that went to its powerful chairman, John McCain (R-AZ). Last year the Pentagon banned the biggest for-profit college, the University of Phoenix, from recruiting on military bases and receiving federal tuition, citing deceptive practices. But McCain lobbied loud and hard and succeeded in reversing the ban in January. 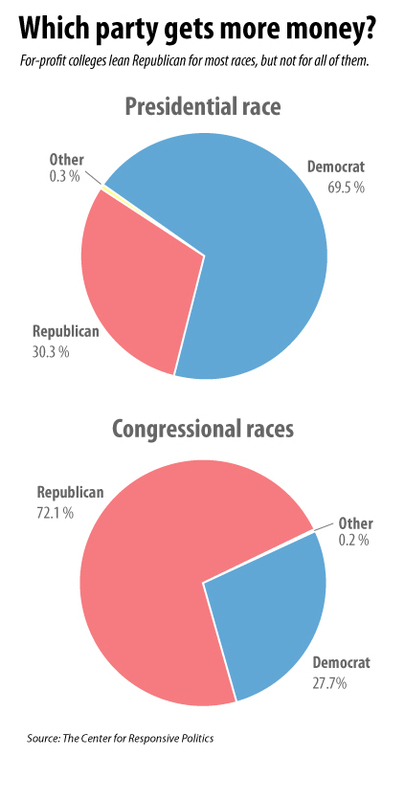 Republicans running for Congress scooped up 72 percent of contributions from the for-profit education sector during the first eight months of this year. That’s a change from 2010, when they only received 39 percent of contributions. The Presidential race this year, however, has favored the Democrat, Hillary Clinton. Some of the biggest donors so far this year are for-profit institutions that have drawn scrutiny from federal agencies for high student debt levels and low graduation rates. Bridgepoint, at the top of the list, is under investigation by the Justice Department; it also must pay millions of dollars in fines to resolve the Consumer Financial Protection Bureau’s accusation that its private student loan advertisements misled students. Corinthian Colleges filed for bankruptcy last year and this year was forced to pay massive fines for defrauding students.